Is the game too hard? Or is it because I'm playing with the keyboard? i want a trainer.exe right now! Joke aside, You did really good job. It also feel good to see a successful game made with acknex in the market. Edit: Btw there is a slider for "music volume" in options menu, but i can't here any music during play game. Haha, yes, it's a very difficult game. Most people struggle a lot the first hour or more, and only after they get used to the controls they start to enjoy the game. For a long time the quickest first run any player did was 11h. I intended the game to be 5-12h long. Oh, and yes, many people including me find the game to be much easier with a gamepad than with keyboard. I suggest using the latter as well. 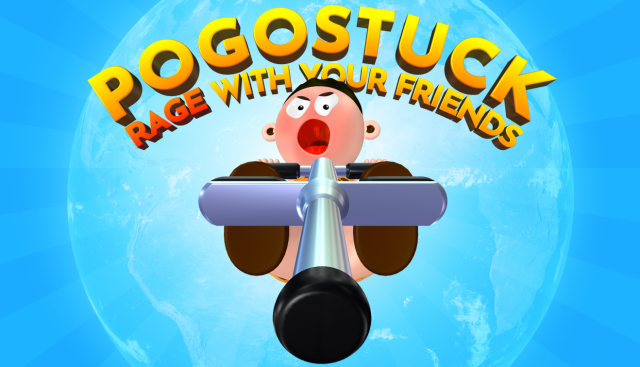 However, some people prefer playing with keyboard, including the world's best Pogostuck player shlomdog who completed the game in 3:56m. There is music in the game but it only plays when you lose some progress. You will probably hear it once you fall down from ~18% and onward. It would probably be super annoying to have music play constantly in this game for hours (there's only so much music I can ship with the game as well). Instead I chose to play it on occasion (that is when you fall down) and focus on local(ized) ambient sounds instead.